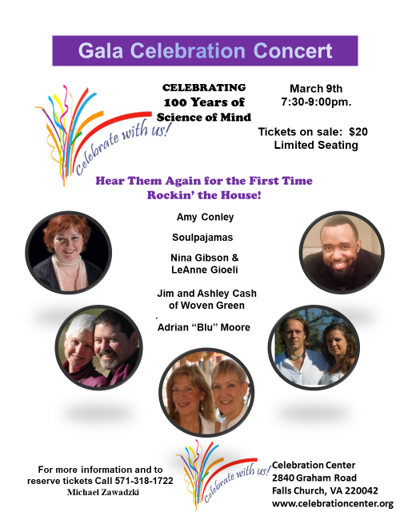 Gala Celebration Concert – Celebrating 100 Years of Science of Mind! -Jim and Ashley Cash (Woven Green) . For more information and to reserve tickets please call- 571 318 1722. March 10, 2019: Rev. Faith Woods -- "How God Works Through Us"
February 24, 2019: Woven Green -- "Open to Sound and Message"